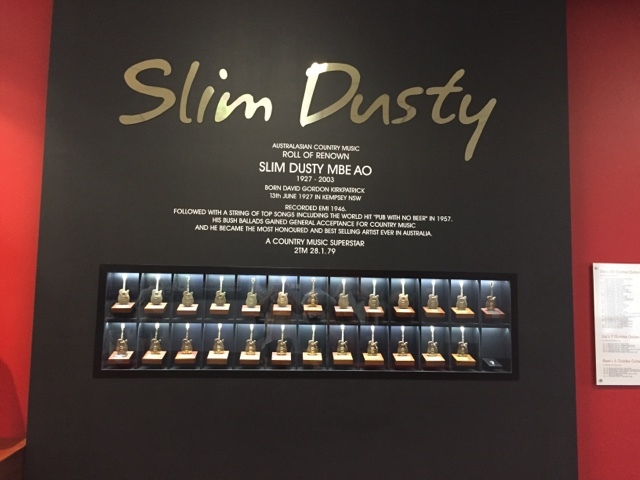 While driving last week we heard on the radio about the opening of the new Slim Dusty Centre in Kempsey. We both like country music and Shane really loves Slim Dusty music so seeing we are sort of in the area we knew we knew we had to head down there. So this morning we headed of early for Kempsey. 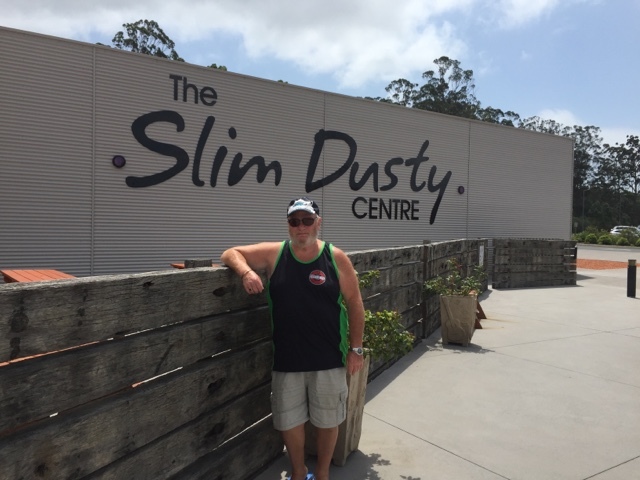 I would think the majority of Aussies and quite a few people outside OZ would know of Slim Dusty. Born David Gordon Kirkpatrick in 1927, he changed his name to Slim Dusty at the age of 11. His career continued until his passing in 2003. 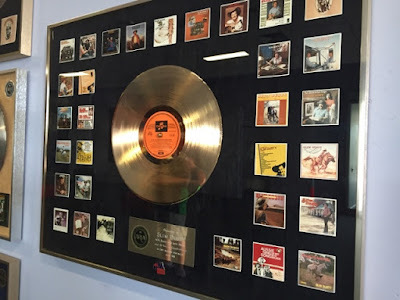 In his long and fantastic career Slim and his wife Joy McKean released 102 albums (her was working on 103 at the time he passed), was the first Australian to get a Gold Record, the first Australian to have an international hit with "A Pub with No Beer". He was the only artist to win 36 Golden Guitar awards from 72 nominations at the Tamworth Country Music Festival. In other words he was a pretty impressive artist. 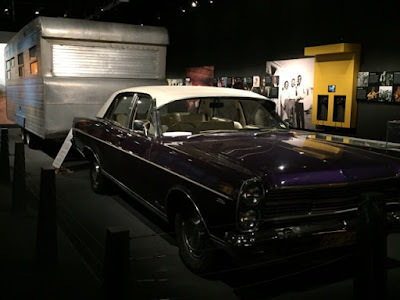 This new centre I. a multi purpose facility that includes the Slim Dusty Museum, the Columbia Lane Theatre, a Travelling Exhibition Gallery ( at the moment it visited of Aboriginal art - but I wasn't allowed to take photos. There is also a function centre, cafe, general store and visitors centre. 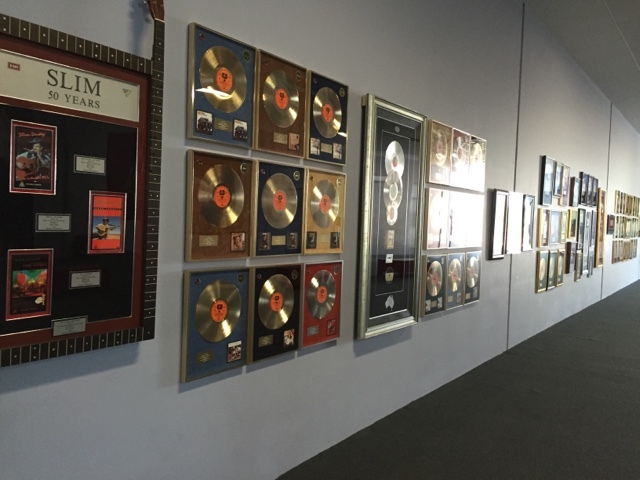 The Museum features all of Slims Gold Records, Golden Guitar awards and so much more. 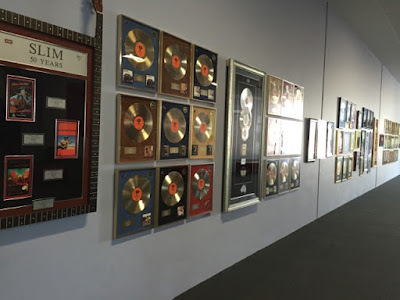 How many Gold Records can an artist win!! !